High school is generally a time to party and hang out with friends. It’s a time of enjoying the carefree lifestyle of being young and living for the moment. For Matthew Hasting, it was a time of self discovery and finding his inner voice. That’s when he put together his Christian metal core band MyChildren MyBride and started looking towards the future. The band worked hard, toured and tried to find the right mix of musicians. There were so many lineup changes that a revolving door was needed to make it easier for those coming and going. Yet, determination prevailed as the band signed with Solid State Records and started creating a buzz. Their debut album Unbreakable came out in 2008 and its follow-up Lost Boy in 2010 and the road became their new home. Their hard work ethic and dedication started winning fans and critics over alike. Now, it’s 2012 and their highly anticipated third album is about to be released. It’s odd for a band’s third album to be self-titled, but lead singer Matthew Hasting feels as if this album is a rebirth for them and they are starting over. After listening to it in its entirety, I do believe fans will agree with him. Producer Zeuss (Hatebreed,Shadows Fall,Suicide Silence) helped the boys tap into something that they had yet to discover about themselves and the results are pretty amazing. The album opens with “Morpheus” which sets a tone of importance for the album. It’s a short track clocking in at 1:34 and starts off somberly, but builds as the whispered intro is joined by the chugging guitar riffs and drums thirty seconds in. It leads into “On Wings of Integrity Part 2”. This song is definitely one written especially for the fans. The band continued the song lyrically from its predecessor and it is a really something special. It’s sure to go over really well live with chants of “we are the voice of this generation” which just screams audience participation. Matt’s vocals show a great deal of diversity. The song starts with a very effective spoken intro and leads into the heaviest and most intense journey that the guys have ever taken you on in four minutes. Matt mixes his spoken word with this more common aggressive styling and it really clicks. I love how the song drops off suddenly at the end with only a piano closing it out in a haunting fashion. “The Endless” is one of the more powerful songs lyrically on the album. Although the guys are all Christians, they don’t make that the prime focus of their lyrical content. Their songs have a positive theme to them that are universally appealing regardless of one’s religious beliefs. The song deals with death and losing those who are close to you. Always remember that no matter how bad you think you have it, there’s someone else who has it worse. “Hell or High Water” is another song where the boys seem all jacked up on Red Bull. High energy and high intensity on this track that just flat out rocks. 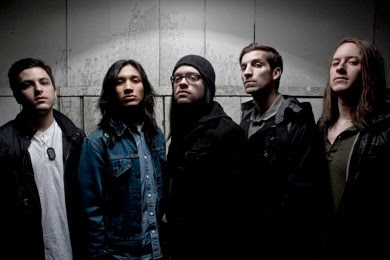 The album closes in a big way with the very strong track “No One Listens, No One Cares”. It’s definitely a standout track and particularly strong on the musicianship aspect. The drumming by Mathis is stellar and the dual guitar attack of Robert Bloomfield and Hunter Wells shows off some of the most insane and creative guitar work on the album. It’s an awesome choice to finish on such a strong note. I have to say that the guys have definitely raised the bar on this album. Zeuss has awoken a sleeping beast on this one. They are more aggressive than ever and seemed more focused and determined. As mentioned before, it is like a new start for the band. The riffs are more brutal, the choruses are bigger and more epic and the guys sound hungry. A very strong album with a very positive message and worthy of praise.